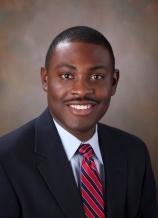 MEMPHIS, TN – June 23, 2015- Glankler Brown, PLLC is pleased to announce that Brandon D. Pettes was recently named to the Board of Directors of the Neighborhood Christian Center. Mr. Pettes concentrates his practice in the area of business and commercial litigation. A graduate of the University of Tennessee College of Law, Mr. Pettes has experience working as a prosecutorial extern with the Knox County District Attorney’s Office. He has received awards from the University for his achievement in trial practice, and served as Commencement Speaker for the UT College of Law Class of 2012. Mr. Pettes is a member of the Memphis Bar Association, Young Lawyers Division, American Inns of Court, and Order of the Barristers. The Neighborhood Christian Center’s mission is to build stronger families and neighborhoods by providing compassionate, Christ-centered ministries to those in need. ABOUT GLANKLER BROWN: Based in Memphis, Tennessee, Glankler Brown, PLLC attorneys represent clients with matters throughout the United States and abroad. In addition to Tennessee, the firm’s attorneys are licensed in Mississippi, Arkansas, Georgia, Illinois, Maryland, Texas, New York and the District of Columbia. With experience in more than 30 different areas of law, Glankler Brown’s attorneys deliver quality legal services to local, regional, national and international clients.